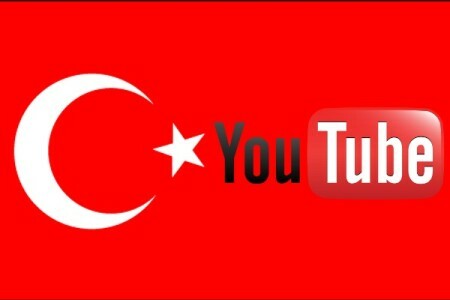 The Erdogan Government has ordered the blocking of YouTube in Turkey after a leaked recording of a high-level security meeting on Syria was posted on the social media site. The recording of the meeting on Syria was released on Thursday, the latest in a series of leaks of conversations that have embarrassed the Government before Sunday’s local elections. The voices on the latest tape are believed to belong to Foreign Minister Ahmet Davutoğlu, the head of the National Intelligence Organization (MİT) Hakan Fidan, Undersecretary of the Foreign Ministry Feridun Sinirlioğlu, and the deputy chief of the military’s General Staff, General Yaşar Gürel. The meeting discusses a possible operation to secure the tomb of Suleyman Shah, grandfather of the founder of the Ottoman Empire, in northern Syria. Ankara has expressed concern that the Islamic State of Iraq and as-Sham could desecrate the tomb, and Prime Minister Recep Tayyip Erdogan warned of a military response earlier this week. An operation against ISIS has international legitimacy. We will define it as al Qaeda. There are no issues on the al Qaeda framework. When it comes to the Suleyman Shah tomb, it’s about the protection of national soil. The Prime Minister said the leak was a “wretched attack on national security and a treason against the country”, vowing action against those responsible. In leaked audio recordings earlier this month, Erdogan discussed the ongoing investigation of corruption — which has imprisoned businessmena and sons of Cabinet ministers — with his son Bilal. The tapes include the Prime Minister’s instructions to Bilal on how to move millions in funds and assets. A week ago, Turkish authorities banned Twitter, hours after Erdogan said he would “eradicate” the social media network.